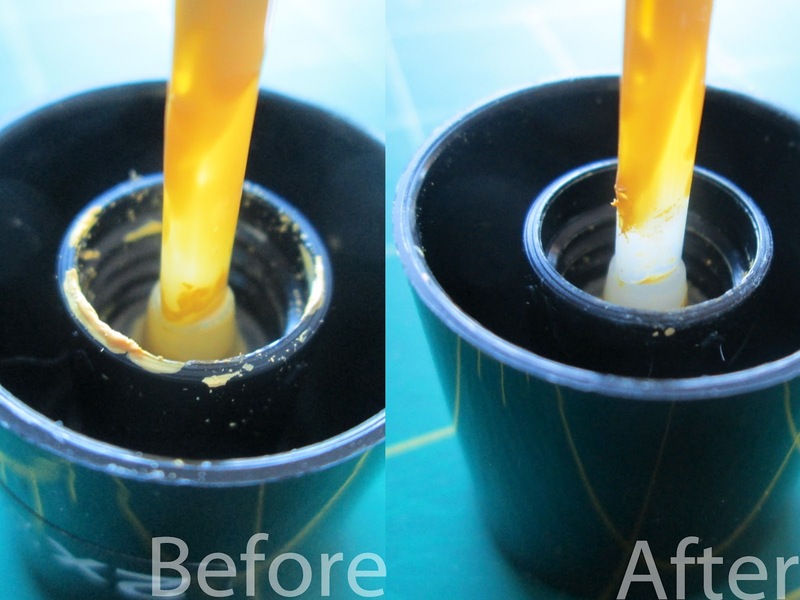 It's important to clean bits of dried up polish from the neck of the bottle. 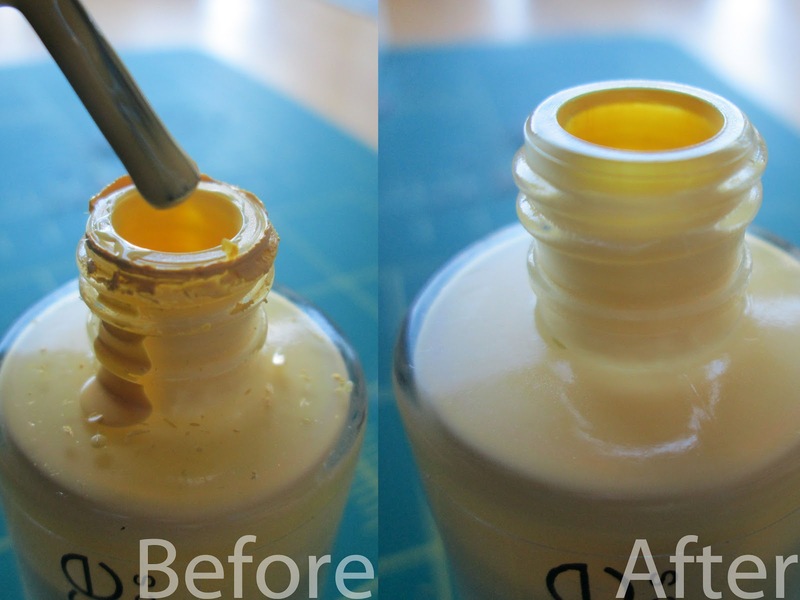 Otherwise, the bottle won't close properly and air will get in, making your polish thick and droopy. We don't want that! You probably know these kinds of dirty bottle necks. I'll show you how I keep them tidy and neat. 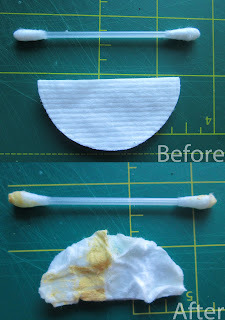 Just take a cotton swab or pad and dip it in the remover. Then, using some pressure, rub it against the neck until it is clean. Easy peasy! The best way to clean the cap is with the Q-tip. It's easier to reach the small spaces that way. See how they make smiley faces? 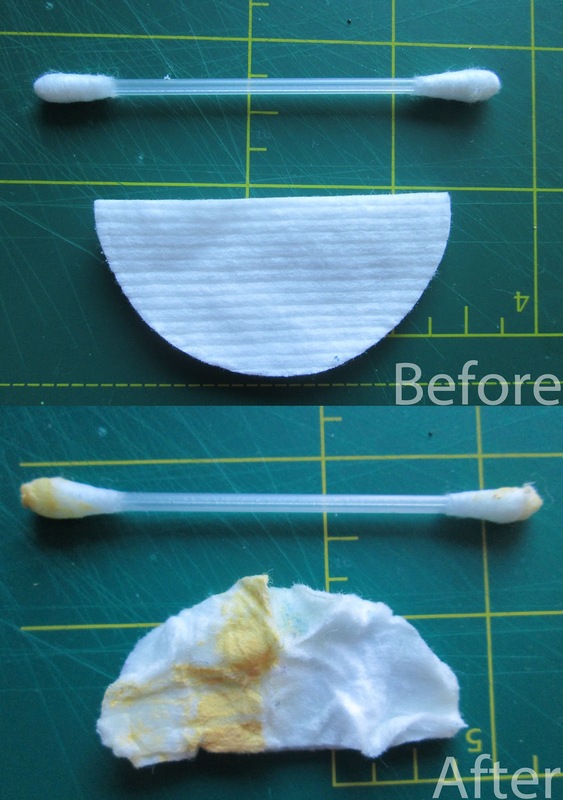 - Make sure there are no fibers coming off your cotton swabs or pads. You don't want those to get into your polish! - When you've dipped your cotton pad into the remover, wring it out a bit. When you have too much remover, it will only drip down the bottle once you put pressure on your pad. Then your bottle gets slippery and it will most likely slip out of your fingers, causing major spillage. - You can use half a pad for more control. Just cut it in half. Every half can be used for multiple bottles, even up to ten bottles per half, depending on how much dried up polish there is. Please tell me if you found this tutorial helpful!